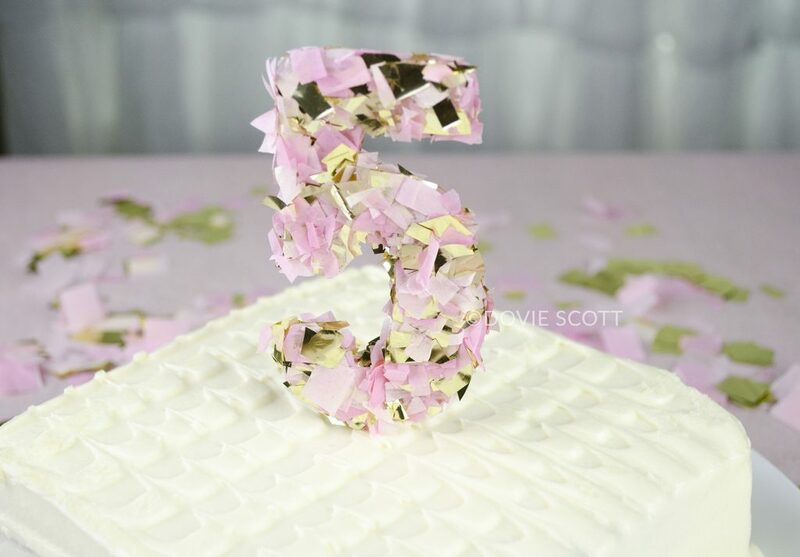 Today I am going to share with you how to make these quick and easy DIY confetti number cake toppers. 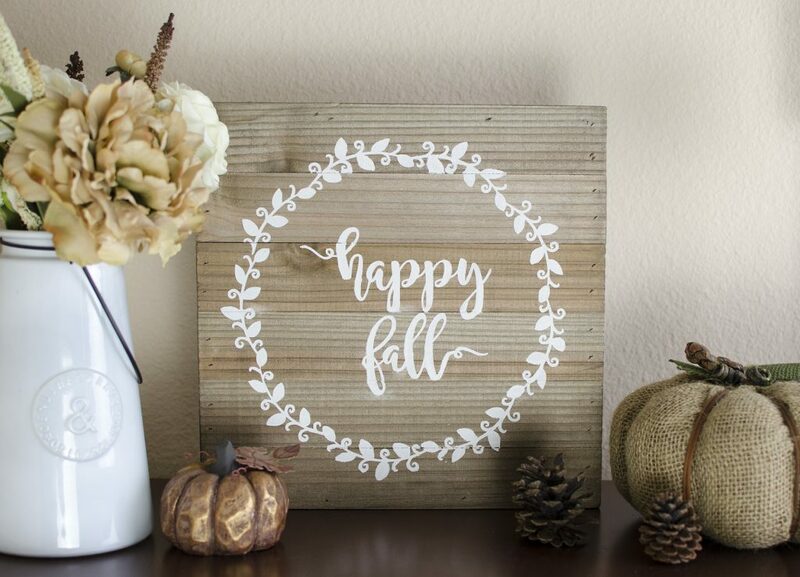 All you need is a number stencil, tissue paper, parchment paper, hot glue, and dowel rods. 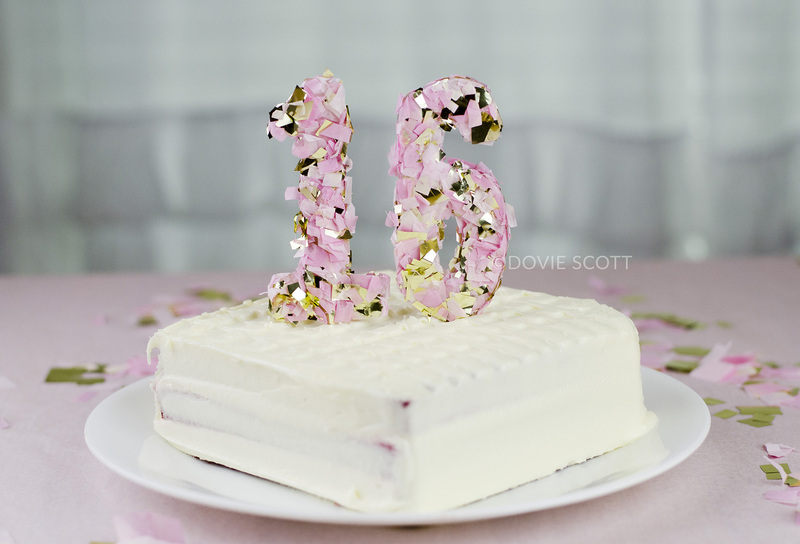 These can be made using any colored tissue paper that matches your party theme. Also, you can make any number, be it for 1st birthday, sweet 16 or 80th birthday! I bet you can make these in any shape too, like a graduation cap with using a graduation cap stencil and black tissue paper. Let your imagination run wild. I have put together a video tutorial, which can be found below, on how you can make these too! My goodness! I have something totally adorable to share with you today. 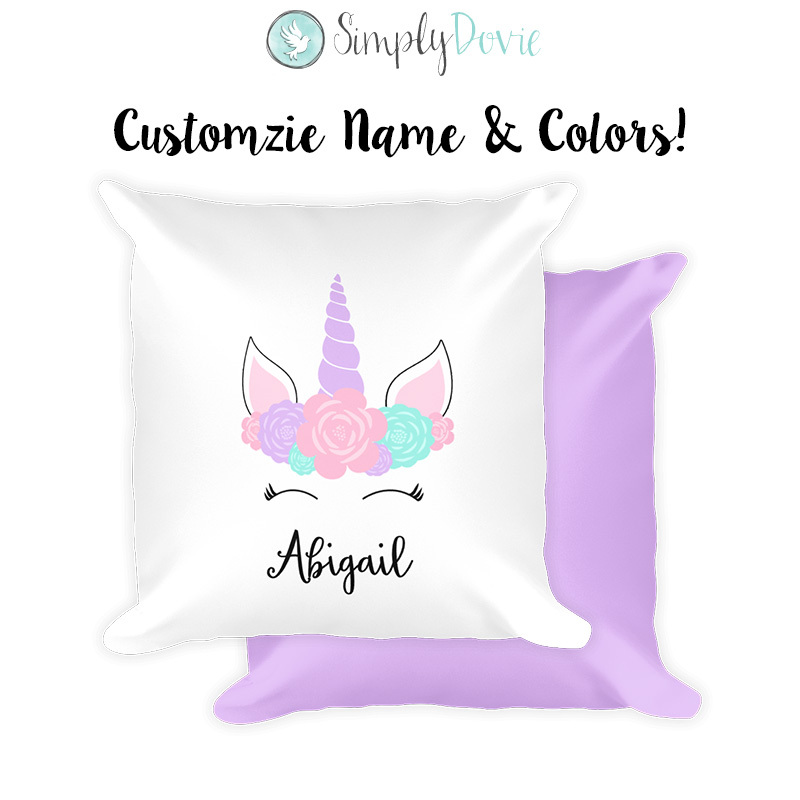 It’s pink, fluffy and oh so adorable! 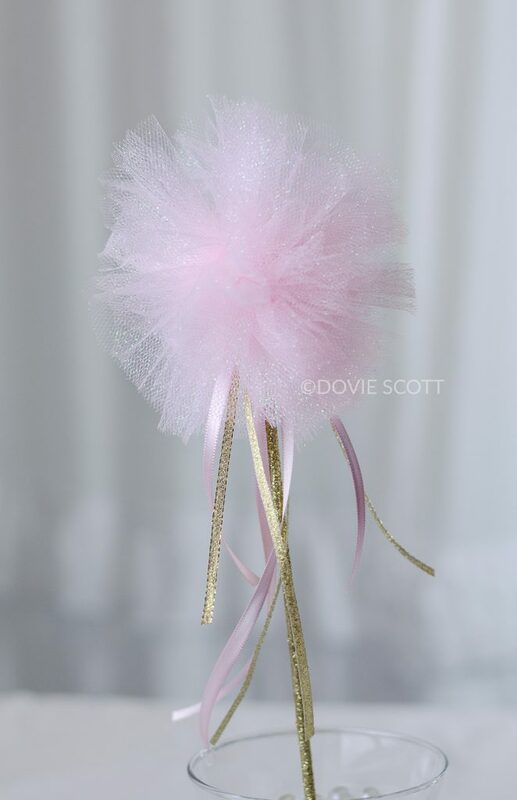 It’s a DIY tulle pom pom wand, otherwise known as a princess wand. 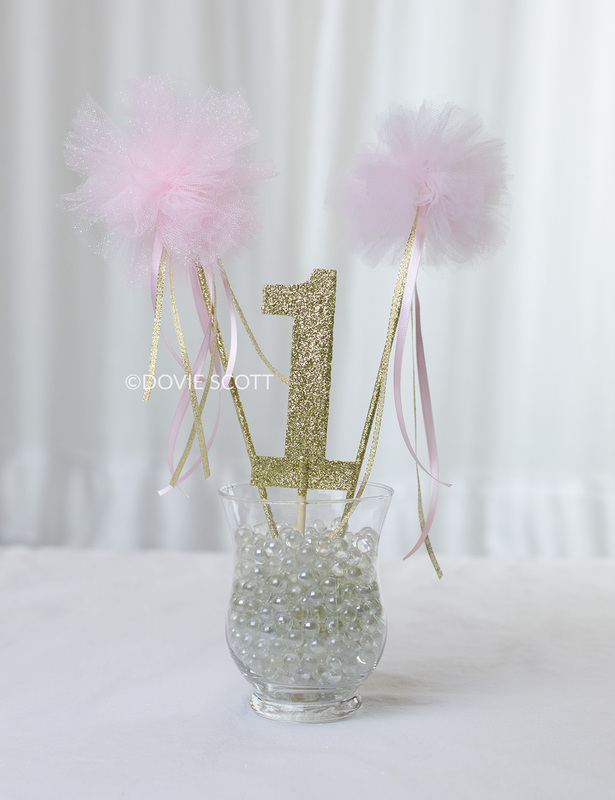 These tulle pom pom wands are so cute and what makes them so great is they are so easy to make. You an make one in no time at all. 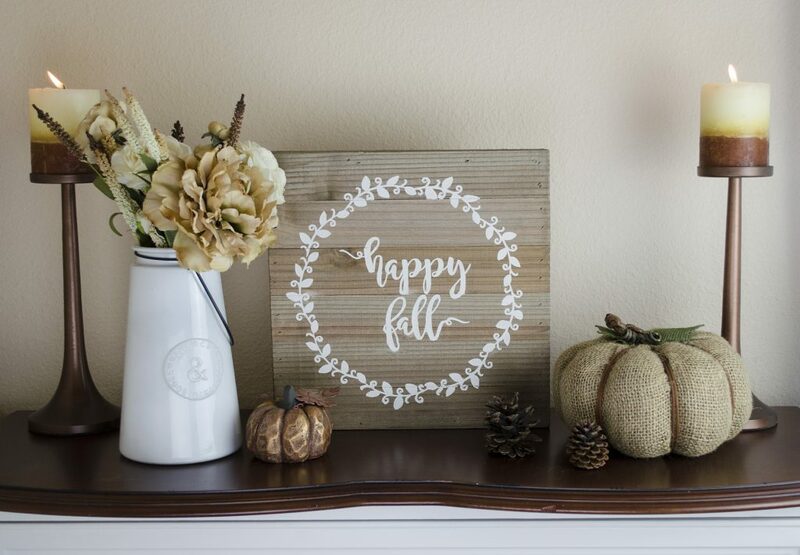 They make awesome center pieces and would add an extra special touch to any party! Yes, they are so versatile in which you can make them for any celebratory occasion by just using different color tulle. 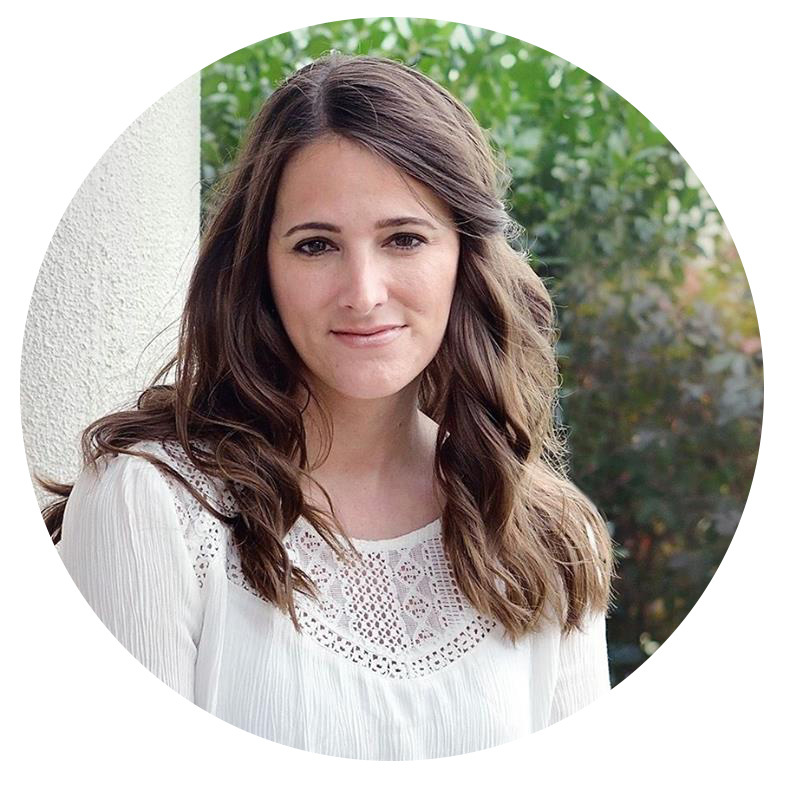 Birthdays, weddings, graduation parties, you name it, they will go great. I’ve put together a video tutorial (see below) to show you exactly how to make the tulle pom pom wands you see in the above photo. While you watch, please subscribe and don’t forget to like the video. This will let me know that you enjoyed watching. As always, thanks for stopping by. 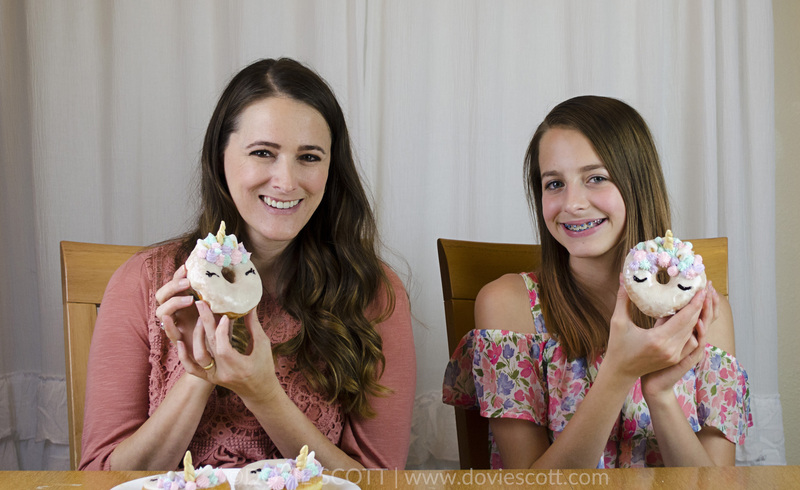 My daughter and I had a great time turning these pre-made donuts into unicorns! 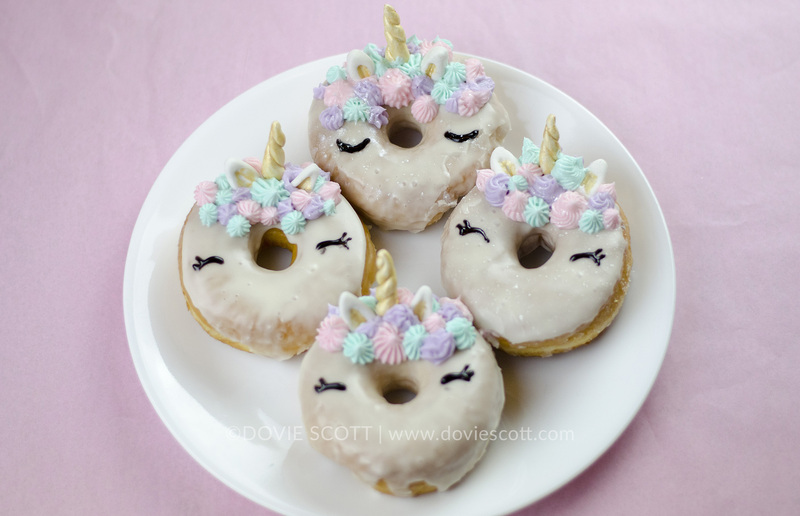 They turned out super cute and they would go great with a unicorn themed party. Or they can be for any day because really… who doesn’t love unicorns? We put together a video tutorial showing you exactly how we made them. You can find that video below. 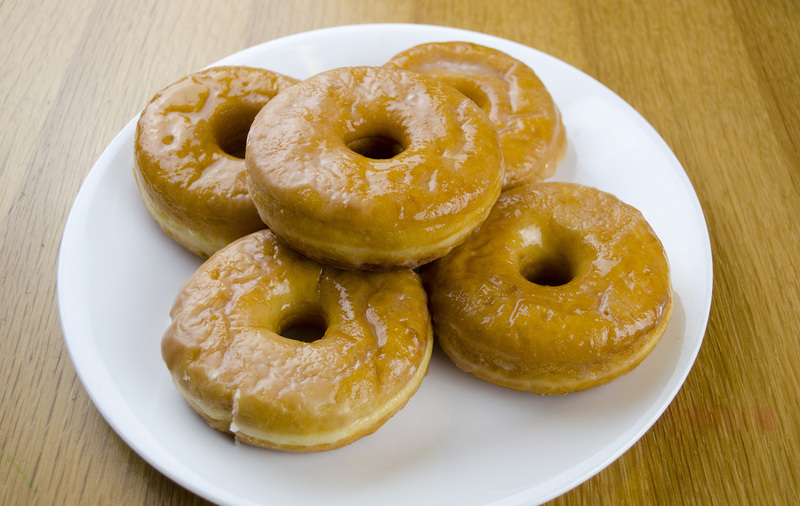 We turned these plain donuts from the grocery store. 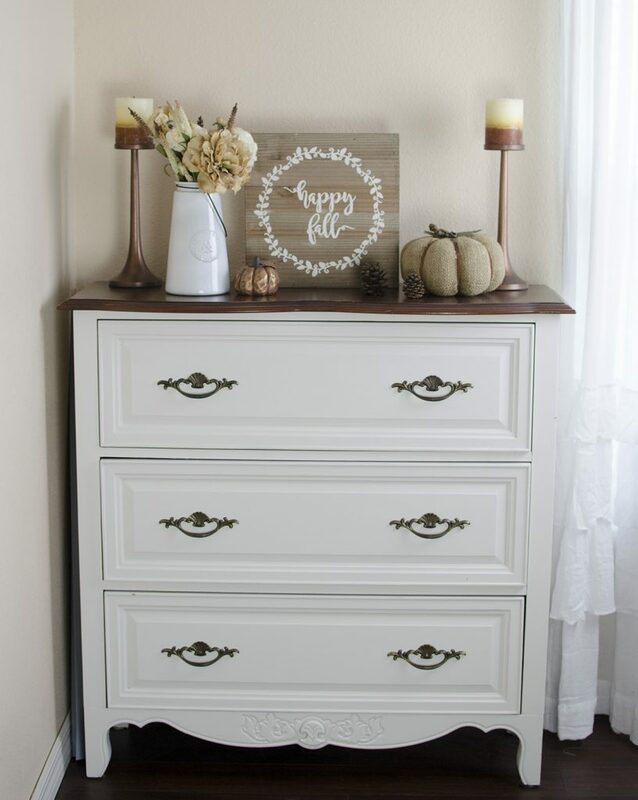 From plain to fabulous! I really enjoyed spending time with my daughter and letting our creative juices flow. Nothing like a little mother, daughter time. Place sifted powdered sugar, milk and vanilla extract in a bowl. Stir ingredients until smooth and creamy. If mixture is stiffer than wanted then you can add in more milk 1 tsp at a time and stir. If mixture is runnier than wanted then added a small amount of powdered sugar to mixture and stir. 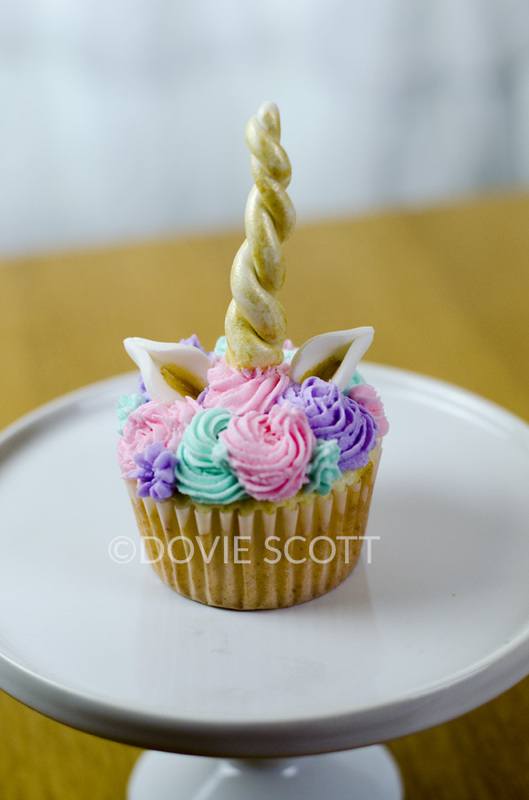 Everyone loves unicorns and I bet you will love these unicorn cupcakes too! 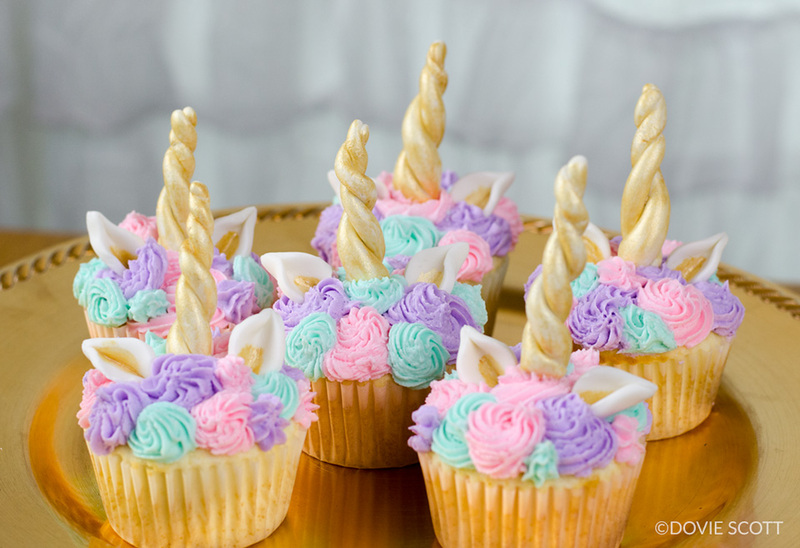 I’ve made a video tutorial on how to make unicorn cupcakes and they turned out so magical and beautiful! You will use your favorite cake recipe and buttercream recipe. Watch the video below on how I made them!